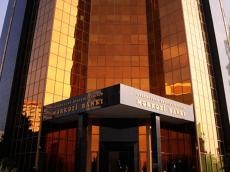 Demand at a deposit auction held by the Central Bank of Azerbaijan (CBA) exceeded supply by 2.7 times, the CBA said on December 4. The CBA received 200 million manats from banks, while the demand was 548.6 million manats. The weighted average interest rate on deposit transactions at the auction was 10.01 percent. The Central Bank began to hold deposit auctions in mid-June 2016. Thirty-one banks, including two state-owned ones, operate in Azerbaijan.